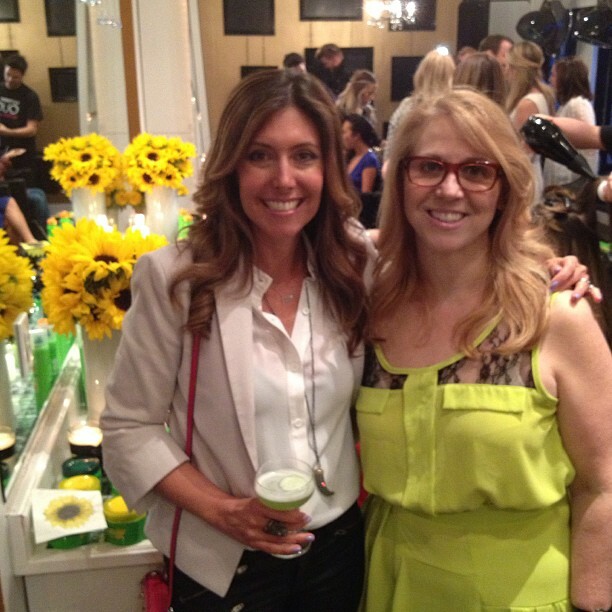 The launch party for Garnier Olia's first oil-powered permanent home hair color was fun and informative! The event took place in West Hollywood at the celeb-fave salon, Nine Zero One. Here I am with Julia Youseff, VP of Technical Center USA, L'Oreal. Braid bar love at Nine Zero One! So chic. Models with hair freshly colored with Garnier Olia's new oil based home hair color! Atmosphere for the event. Love the sunflowers and candles.